Today I found a Vulnerable Lab based on the world of Lords of The Rings. 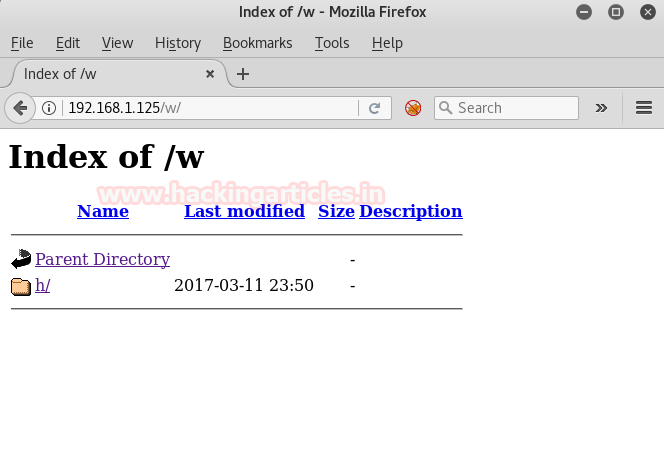 So get on your Gandalf mode to solve this fun Vulnerable Lab Moria 1.2., we are going to download the VM Machine from here. The credit for developing this VM machine is goes to Abatchy. It is a Boot2Root Lab. 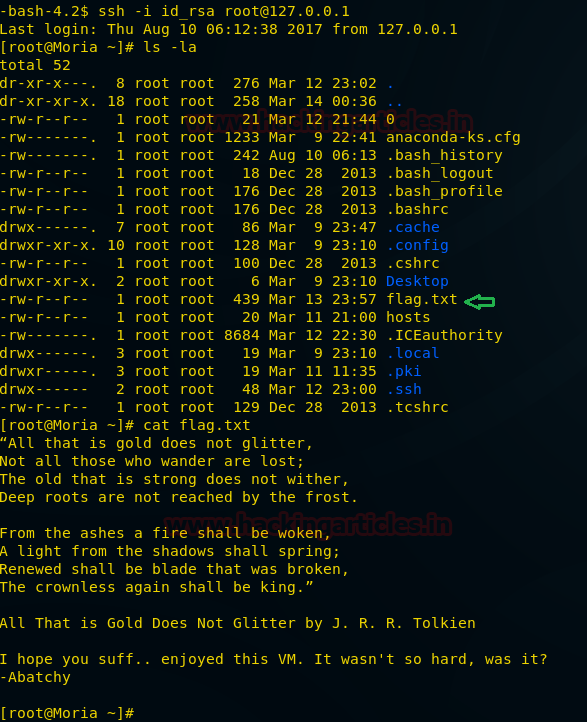 Note: According to author you don’t need LOTR knowledge to hack this VM, but trust me, you need it. As you can see port 21 for ftp, port 22 for ssh and port 80 for http are open, so let’s explore port 80 through Browser. 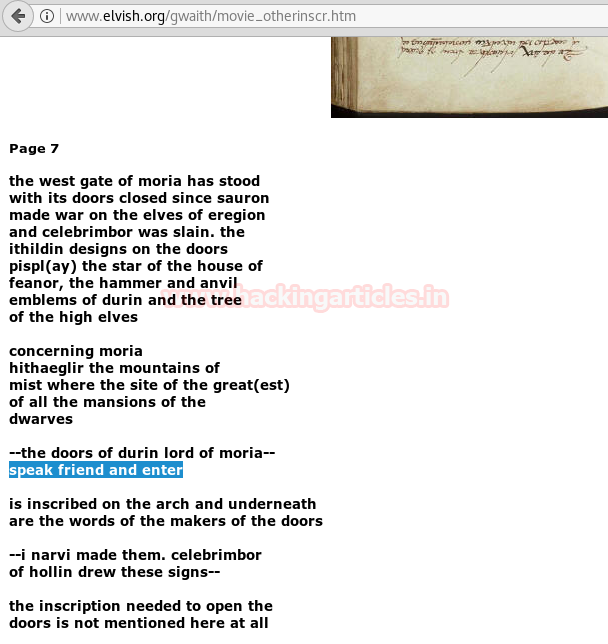 After Browsing I found this Image with label Gates of Moria. I decided to do a bit research on the text written in given below the image. After searching through some wiki pages, I found its translation “Say Friend and Enter” where Mellon means Friend. 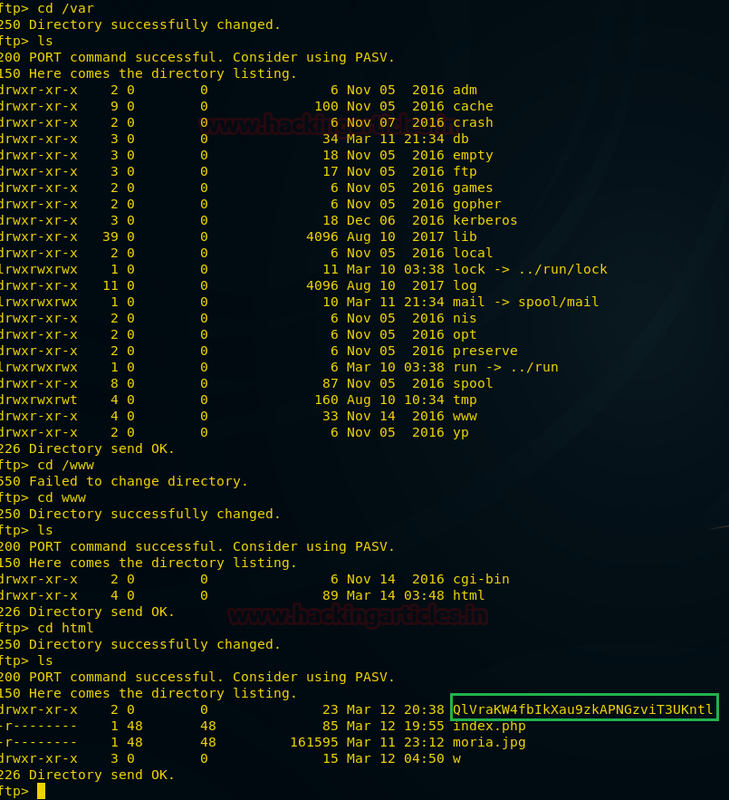 From scanning result I choose the highlighted directory for further enumeration. 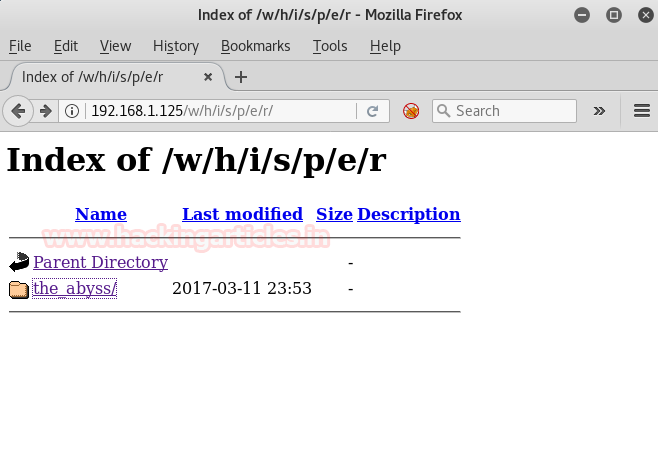 On opening it I got another directory and so on until it completes path /w/h/i/s/p/e/r. 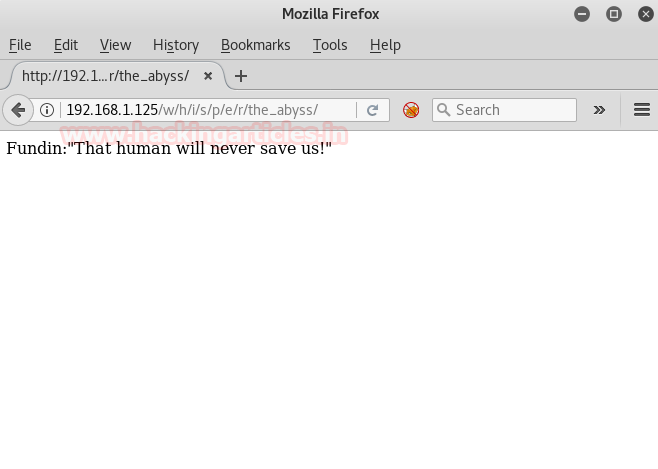 Here we find the last directory named the_abyss/ . Tried to look at source code but nothing then again try to refresh the page and then found this above given text get changed into another the text, again refresh the page again text change into “Knock Knock”. Firstly seemed weird but then I refreshed again and it changed again hence text were changing randomly when I refresh the web page. So I decided to do a dirb scan but it gave no result, so I did an extension dirb scan as shown. 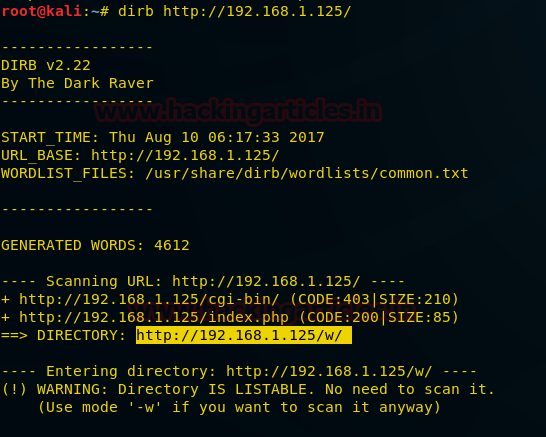 This dirb scanner scans for a particular extenstion which is specified like .txt or .img etc. Aha! Found a file named random.txt. So I opened it through the browser and found all the text that was coming on refreshing page in a single webpage as shown. 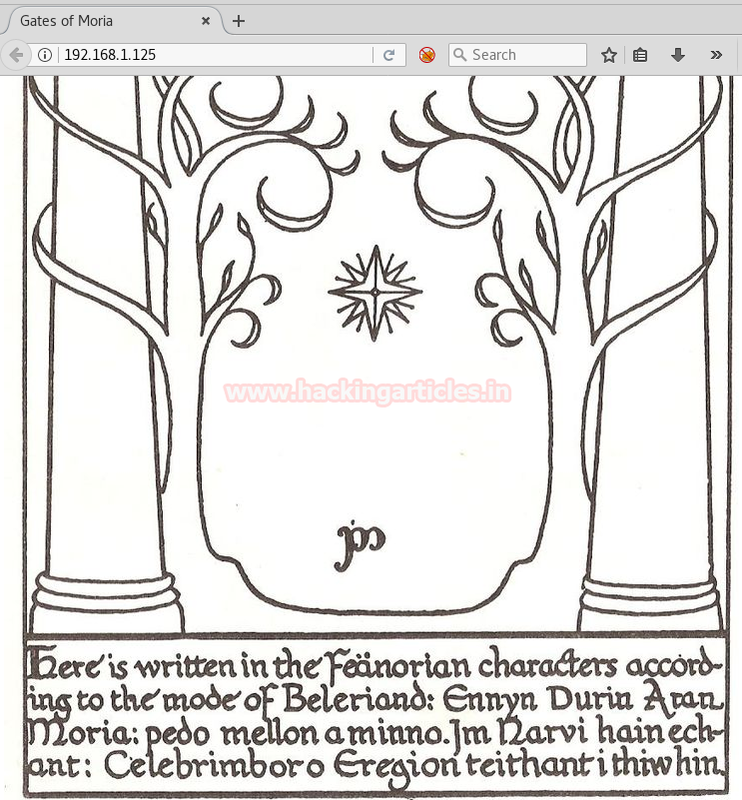 This text contains a lot of names like Balin, Oin, Ori, Fundin, Nain, Eru, Balrog, I noted them because they might be usernames or passwords. Now I tried to connect with ftp port. And I knew it must be the username because it was in the random.txt too but for password, I had tried multiple names which I found previously and then I remembered the text form the image, “Say friend and enter”. I entered Friend but login failed then tried with Mellow and got login successfully. NOTE: - If you get an error, restart VM and also try multiple times with the above username and password. After login, I tried pwd command and got the path to be /prision. I looked around it in hope of a flag but didn’t found any hint for flag. Then I found var folder and move inside inside. 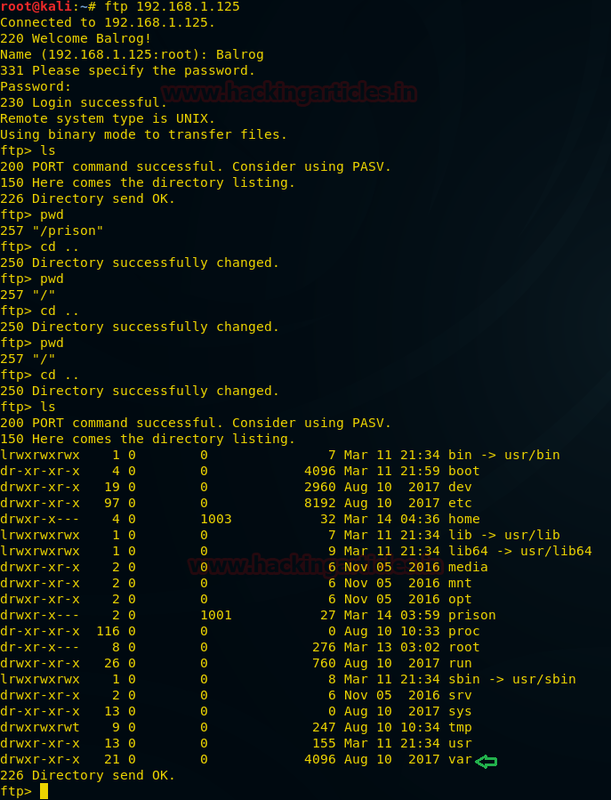 When opened it in browser I found a table having two columns for Prisoner’s name and Passkey as shown in given image. As always, I searched the source code for some hint. From View Source page I found the “salt” which can be used to decrypt the MD5 Password. Name it whatever you want (Here I named it passwords and saved it on my kali Desktop). These look like login credentials. Here we got the bash shell. 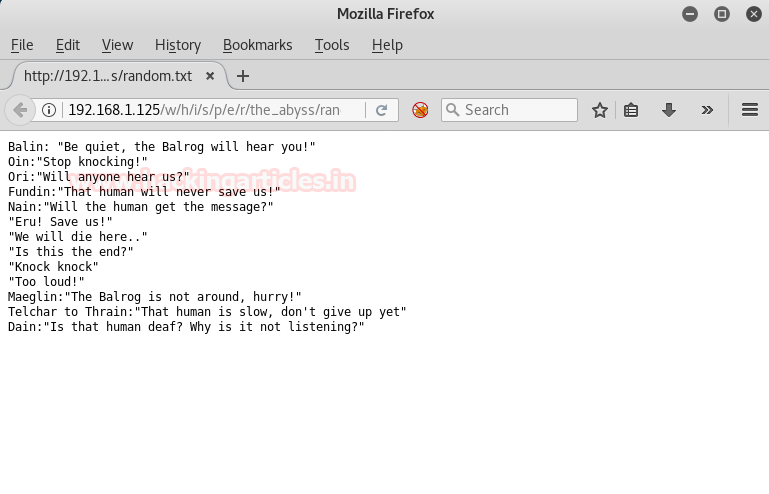 Now I tried multiple commands in search of a flag in ls-al, I found a poem.txt file, which contains a poem. But it didn’t find any flag inside it. Copy the entire text found inside id_rsa in a text file and save as id_rsa. 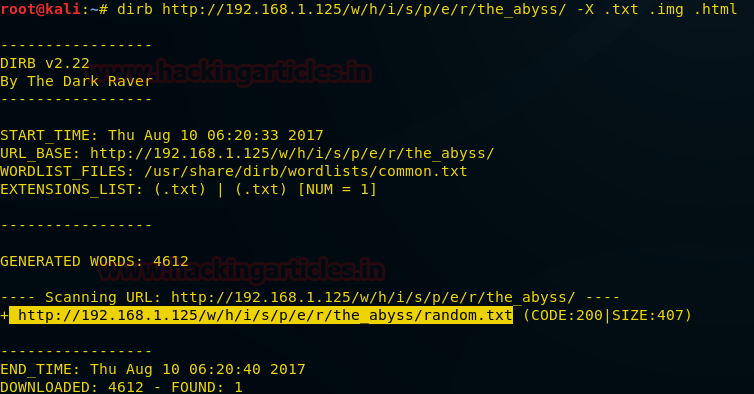 Now open another file known_host with cat command, here you will find host is “127.0.0.1”, let use these information for ssh login for root user. But let’s finish it properly. So I tried ls -la scan to get a flag. And I found a flag.txt inside flag.txt I got the Final Message “All that is gold does not glitter”.